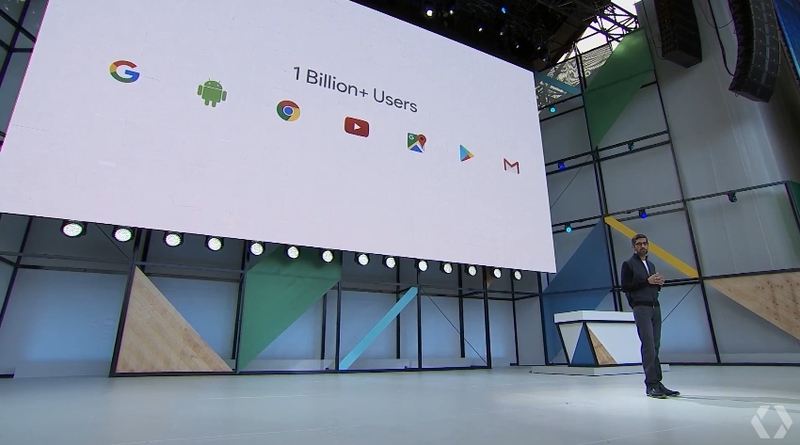 Google CEO Sundar Pichai revealed during the keynote at the I/O 2017 developer conference that its Android mobile operating system is now installed on more than two billion active devices. As Venture Beat highlights, that’s well over the 1.5 billion PCs that Microsoft estimates are running Windows worldwide and the 1.94 billion people that regularly use Facebook. In other words, we’re talking about a ton of devices. Google reported in September 2015 that Android had 1.4 billion monthly active devices meaning it has added more than 600 million devices in roughly 20 months. In comparison, Apple said in January of 2016 that there were just over one billion iOS devices actively in use around the globe. While impressive, it’s worth clarifying that Google is talking about active devices, not the number of people using Android (a user can have multiple devices like a tablet and a smartphone, for example). Google now has seven products with over a billion monthly active users each: Search, Android, Chrome, YouTube, Google Maps, Gmail and Google Play. What’s more, Google Photos now has over 500 million monthly users uploading 1.2 billion images daily. Google Drive, meanwhile, has surpassed the 800 million monthly active user mark, Pichai shared. With any luck, these products will join the billion+ user club in the not-too-distant future.